Ian Baldwin graduated with a PhD in chemical ecology from Cornell University, Ithaca, New York, Section of Neurobiology and Behavior in 1989. 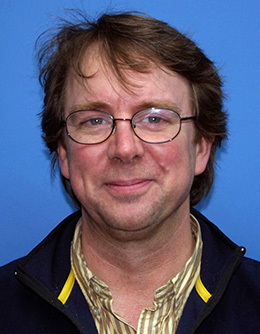 He was an assistant (1989), associate (1993), and full professor (1996) in the Department of Biology at SUNY Buffalo. In 1996, Ian became the founding director of the Max Planck Institute for Chemical Ecology, where he currently heads the Department of Molecular Ecology. In 1999, he was appointed honorary professor at Friedrich Schiller University in Jena, Germany. In 2002, Ian founded the International Max Planck Research School at the Max Planck Institute in Jena. His scientific work is devoted to understanding the traits that allow plants to survive in the real world. To achieve this, he has developed a molecular toolbox for the native tobacco, Nicotiana attenuata (coyote tobacco), and a graduate program that trains “genome-enabled field biologists” to combine genomic and molecular genetic tools with field work to understand the genes that matter for plant–herbivore, –pollinator, –plant, –microbial interactions in nature. He has been a driver behind the open access publication efforts of the Max Planck Society and is a member of the National Academy of Sciences, the German Academy of Sciences Leopoldina, and the European Molecular Biology Organization (EMBO). 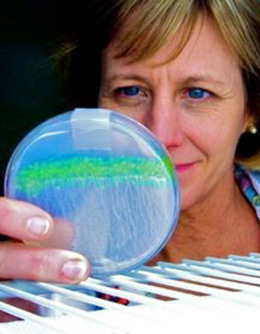 Julia Bailey-Serres is professor of genetics, director of the Center for Plant Cell Biology, and a member of the Institute for Integrative Genome Biology at the University of California, Riverside. She earned her PhD from the University of Edinburgh. Her accomplishments include the pioneering of methods for profiling the “translatomes” of discrete cell types of plants and identification of a homeostatic sensor of oxygen deprivation in plants. Her team’s research at UCR has deciphered the functions of SUB1A, the transcription factor that allows rice to survive complete submergence under water, which scientists at the International Rice Research Institute (IRRI) used to create the now widely grown flood-tolerant rice variety Swarna-Sub1. Currently, she and her researchers are investigating the molecular and physiological processes that enable plants to tolerate or survive stresses such as flooding or drought. In 2010, Julia became a fellow of the American Society of Plant Biologists, and in 2011, she was elected secretary. Wout Boerjan earned his PhD in plant biotechnology from the University of Ghent, Belgium, and is currently an associate professor at the university and group leader at the VIB Department of Plant Systems Biology and Bioinformatics, where he leads the Bio-Energy Group with the primary focus of understanding the biosynthesis of plant cell walls to provide the fundamental knowledge necessary to design plant cell walls that are easier to process into simple sugars. His research is heavily supported by metabolomics, and his efforts will underpin the transition from a fossil-based to a sustainable bio-economy. 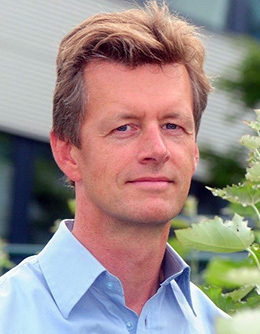 Boerjan is a member of the international Academy of Wood Science, associate editor of Bioenergy Research, advisory board member of several international projects and regular organizer of international congresses. In 2009, he was named Forest Biotechnologist of the Year by the International Institute of Forest Biotechnology.